The Colonial revival style home now known as the A.G. Thomson House was originally built in 1909 for William Ryerson who was general manager of the Great Northern Power Company at a cost of approximately $17,000. It is the only known Duluth house designed by Edwin H. Hewitt, a renowned Minneapolis architect. William and Martha Ryerson sold the house to Adam G. and Clara Thomson in 1918, who soon added a two-story addition on the rear—with a large pantry and sleeping porch on the first floor, and bathroom and sleeping porch on the second floor. He also built a two-story carriage house with upper level four-room dwelling at a cost of $4,000. A.G. ran his father’s firm, A.D. Thomson & Company, which operated Superior’s Great Northern grain elevators. Other families famous in Duluth’s history have lived in the house. Ely and Dorothy Salyards lived in the house for more than 40 years from the mid-1920s to the late 1960s. Ely Salyards was also in the grain commission business. 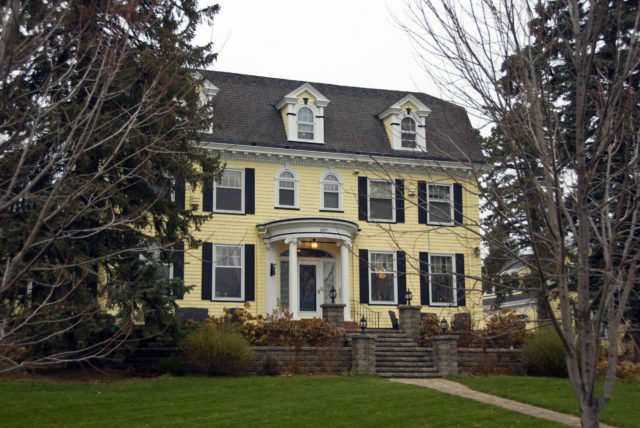 The Fedo family owned the home from 1986 to 1989 while John Fedo served at Mayor of Duluth. Jay Litman, general contractor who specializes in the renovation of older homes, owned the house throughout the 1990s. Tim and Angie hired Jay and his company to oversee renovations to open as a bed and breakfast when they purchased the home in January 2000. Today the A.G. Thomson House is a recognized as the #1 Bed and Breakfast in the U.S. by Trip Advisor.